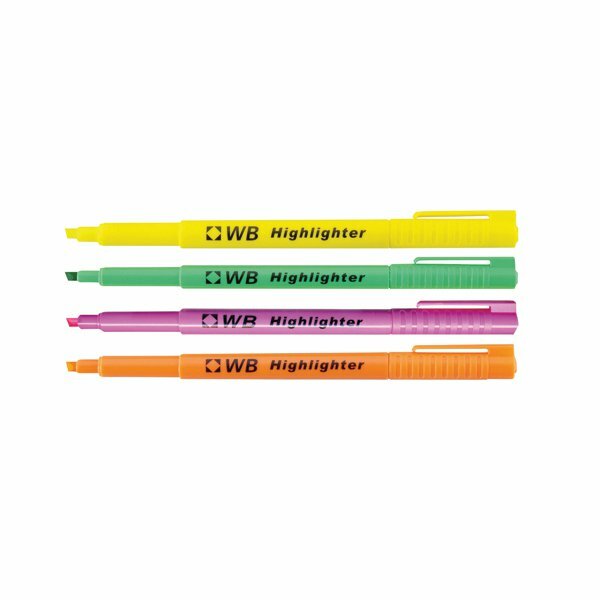 These handy highlighter pens feature a slimline barrel for comfort and control, and a chisel tip for bold highlighting and underlining. The pen also features vibrant, long lasting ink and a close fitting cap to protect the nib. 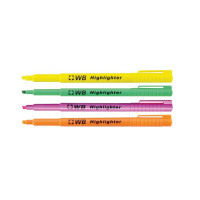 This assorted pack contains 4 highlighters with yellow, green, pink and orange ink.